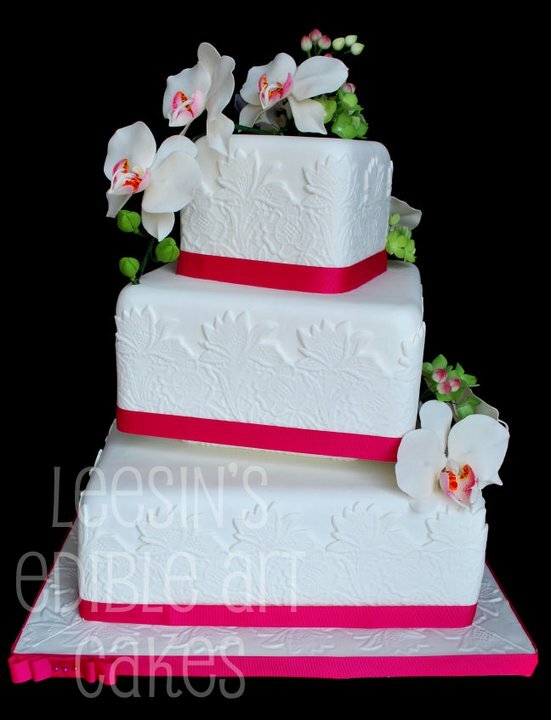 3-tiered offset square cakes. I am not sure if it is called offset. 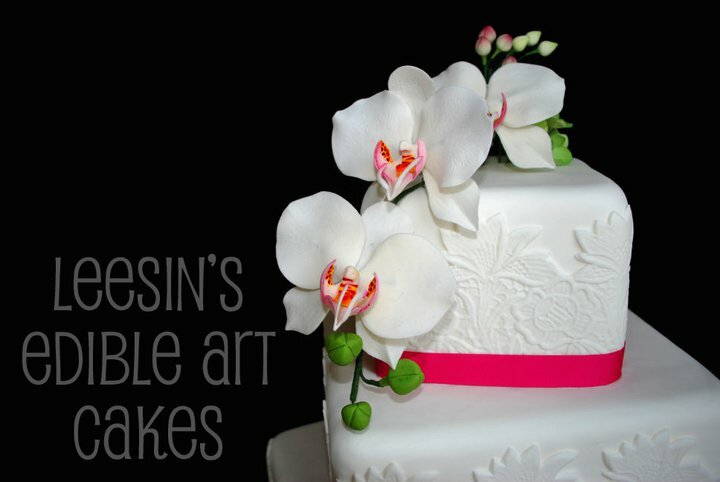 Anyway its sugar white phalaenopsis over white lace cakes...accentuated with boysenberry colored ribbon.